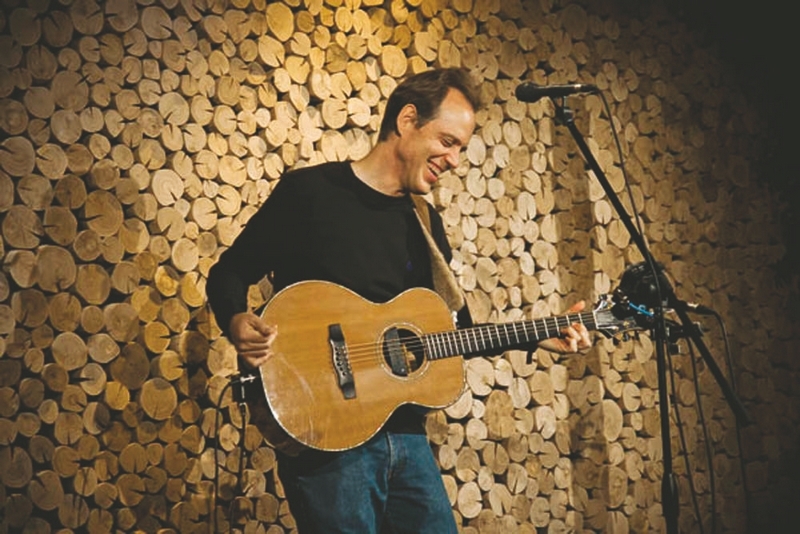 Special to the DailySinger-songwriter David Wilcox will perform Friday and Saturday in Vail. VAIL – Imagine a bunch of your favorite uncles and cousins gathering on the front porch during a sunny afternoon to swap stories and songs you know by heart and love. That’s what Season of Song is like. It’s a 30-year class reunion that Morris Lawrence put together. Lawrence knows a guy who knows J.D. Souther, who knows Jimmy Webb, who knows David Wilcox and Beth Nielsen Chapman. They know a guy who knows a guy who knows Dala and Elephant Revival and before you can say, “That’s a great line. Can I use it?” they all decided to head to Vail. This is Lawrence’s first Season of Song. He talks like a songwriter when he describes it. “It could be a stretch for people to get their heads around something like this, but once they experience it, it’s going to be something they’ll want to do next year with a different group of songwriters,” Lawrence said. Every story is a song and every song is a story. You’ll hear songs you recognize, and the stories that go with them from the people who wrote them. J.D. Souther has had 14 No. 1 hits and will be on stage with Jack Tempchin and Jimmy Webb, who wrote what might be the best girl-getting line ever, “I need you more than want you, and I want you for all time.” Put Glen Campbell’s voice to it and let the swooning begin. Souther is a star performer in his own right, and he and Tempchin wrote songs that you’ll swear the Eagles penned, except they didn’t. These guys did. David Wilcox has been writing songs since he was in college 30 years ago. His songs still come from the same place. “I get them from the future. I can gradually craft a song that has wisdom I’m gaining. I learn from the person I am becoming,” Wilcox said. Wilcox and Beth Nielsen Chapman’s concerts are musical conversations, trading songs back and forth with lots of spontaneous reaction and improvisation. “We surprise each other and take the emotional direction of the song before and go from there,” Wilcox said. “Rusty Old American” dream is about a beige and green 1958 Oldsmobile and Wilcox’s ability to fix things himself. “I can communicate with automobiles. I’ve saved a lot of money because I replaced the right part first,” Wilcox said. His song “End of the World Again” is a jab at the End of the World Glee Club who has given up because everything is such a mess, they say. Wilcox fired back by scheduling a one-day End of the World Tour, Dec. 22, in Asheville, N.C., where he lives. That’s one day after the Mayans predict the world is supposed to end. After three decades he likes what he’s writing right now. Michael Tomlinson, one the festival’s performers, was playing in Oysterville, Wash., a couple of summers ago. “It’s a quaint strand of town built on sand, the whole village barely above the level of high tide,” he said. Pete was 6-foot-4-inches tall and 93 years old, erect and proud, and in the front row of that night’s full house.